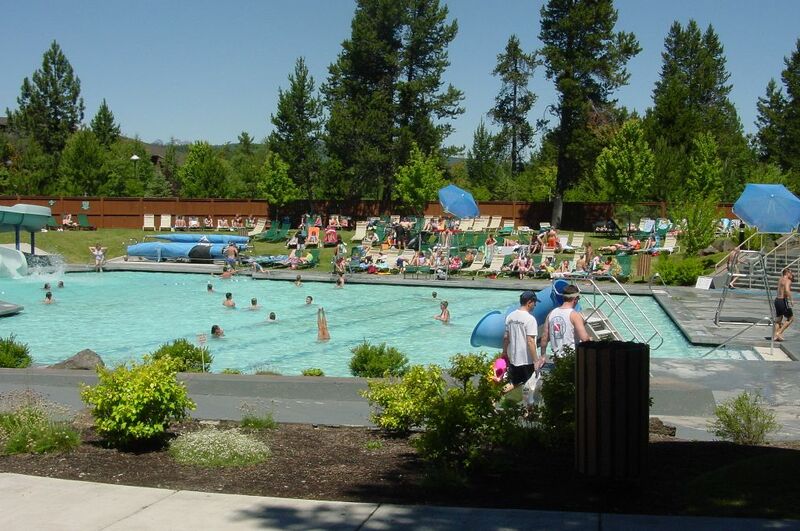 People are always asking us, "Are there things to do in Sunriver besides go to the pool?" Yes. here are a few of the things WE have done that we can share with you. Please e-mail us and tell us what you can add to this list. And send a pic. 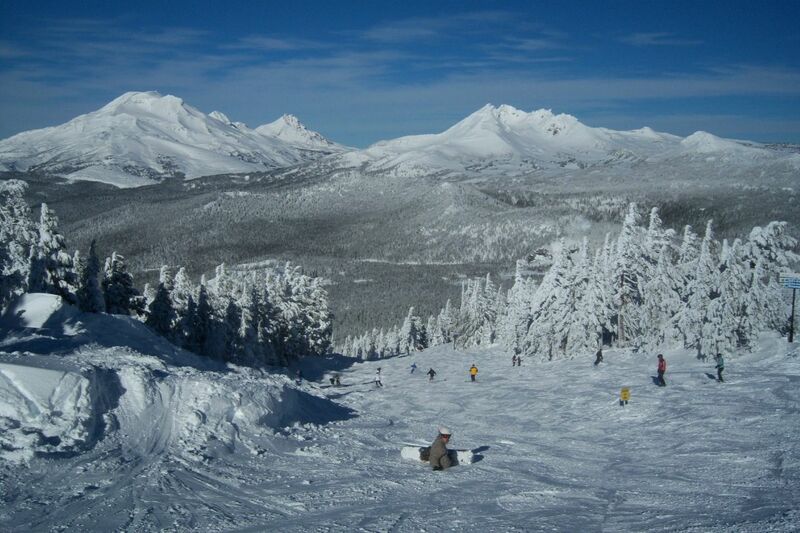 This view is on the way to the Outback Chair Lift, with Three Sisters serving as the backdrop. 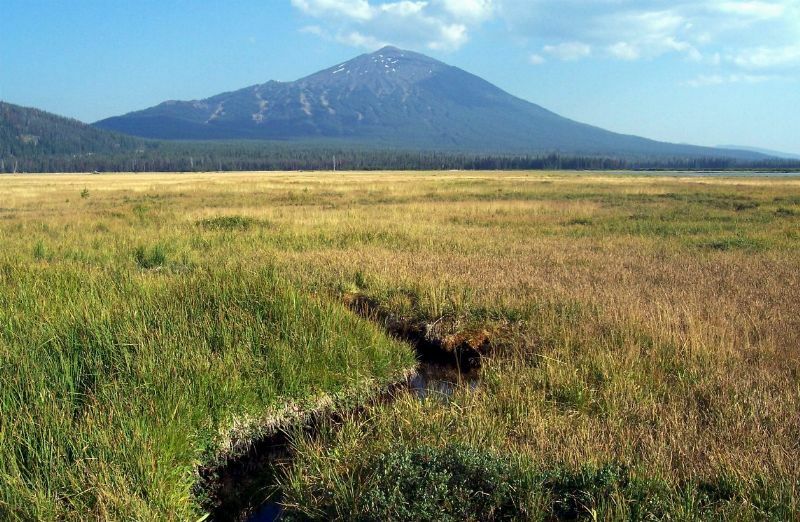 About an 8-mile drive east of Sunriver on a dirt road, this self-guided tour is worth the effort. 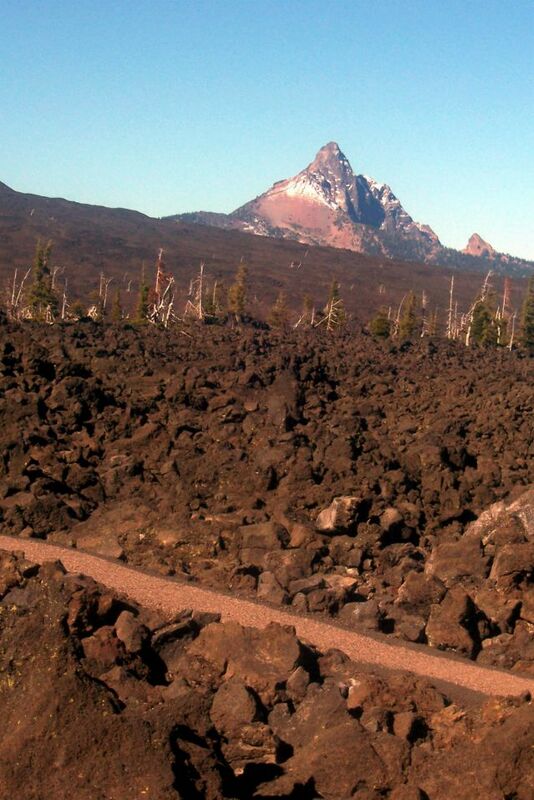 See what happened to forests thousands of years ago during a volcanic eruption. Meadows (pictured), Woodlands, Crosswater, or many of the public courses around Bend and LaPine offer some of the best golfing on the west coast. 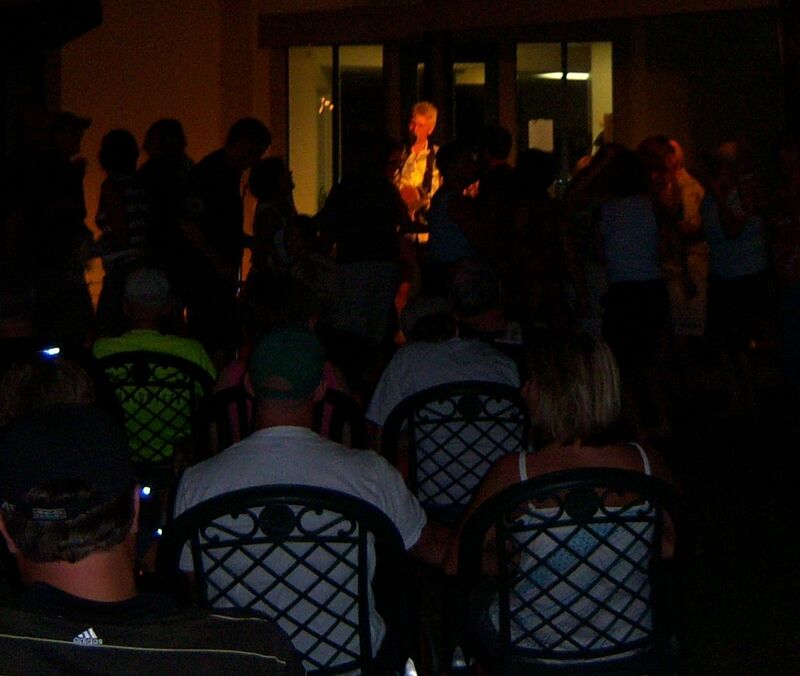 Summer nights are enjoyable at the mall where the Village bar and Grill ("V-Bag" to locals) hosts musical acts. Food and drink service also available. Very family friendly. 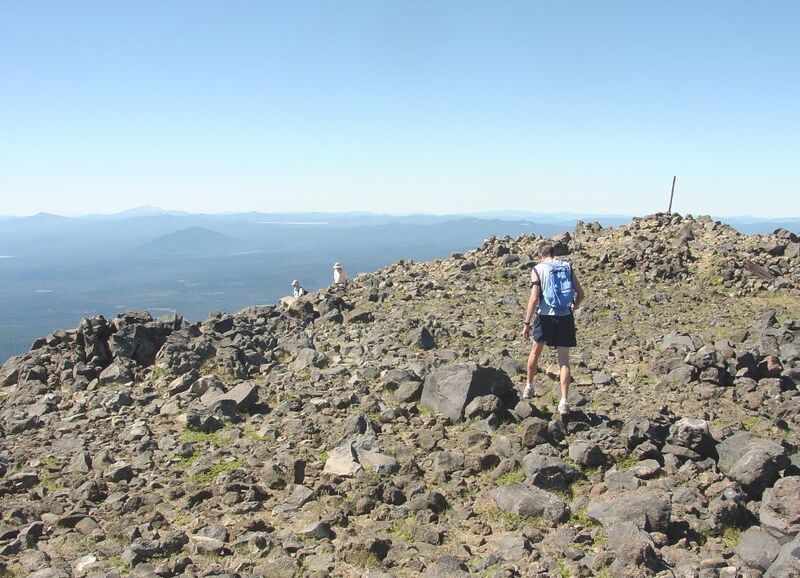 Every June people come from all around the world to test their endurance in the Pacific Crest Race. You can test your 5k or 10k endurance, too. It's fun! 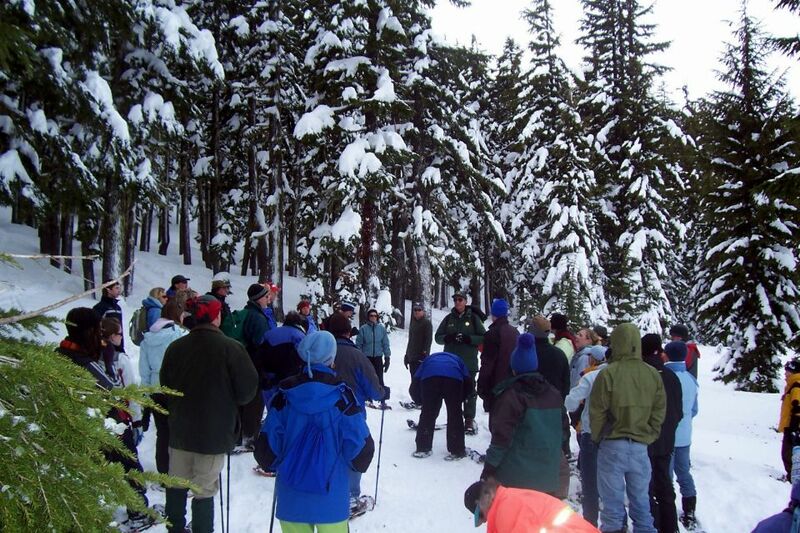 Check out the FREE Forest Service Snow Shoe Tours every winter. They even supply the shoes! After a harrowing drive up the steep mountainside, you are rewarded with this incredible view that stretches 360-degrees. 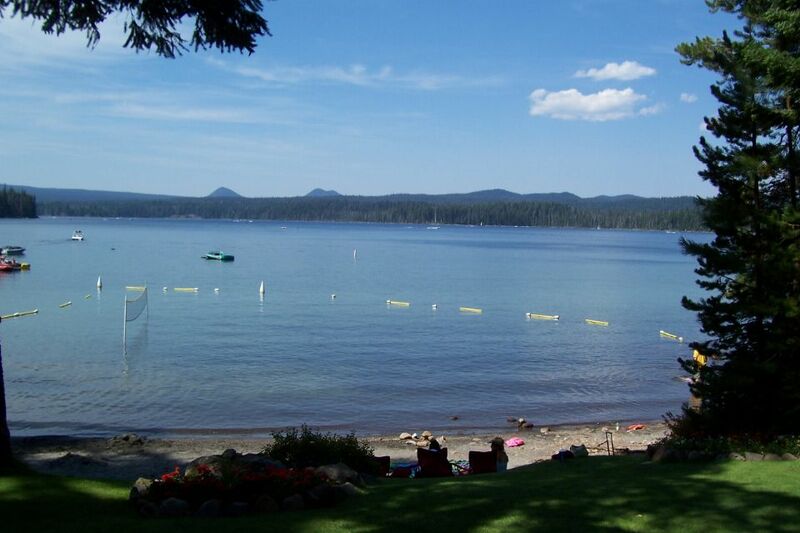 Visit Paulina Lake (below) Lodge on your way back down. 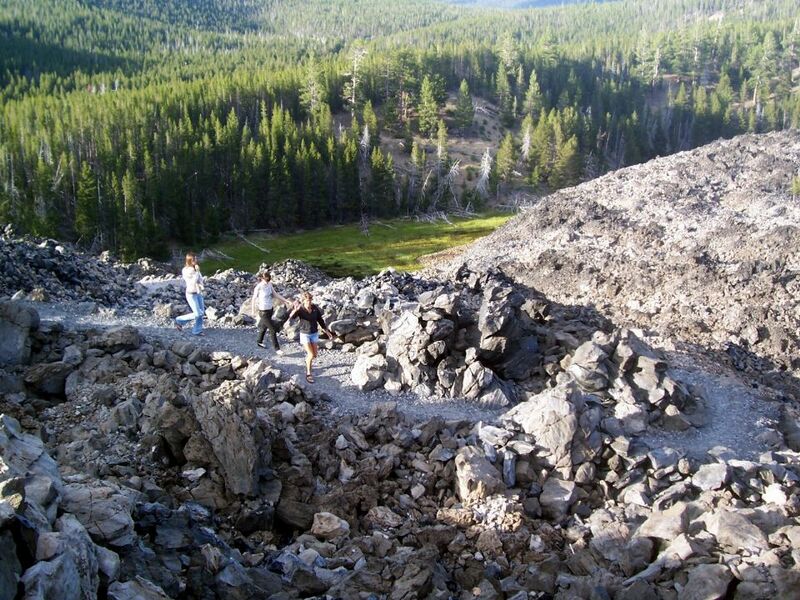 Near Paulina Peak, this path takes you through Obsidian Rocks that are treasured by the ancient tribes of the area. Wear closed shoes, they are sharp. 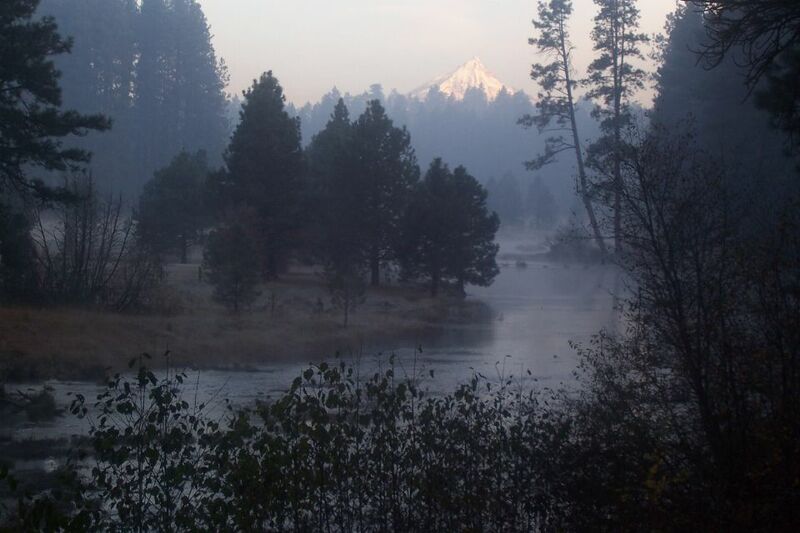 The newest resort at Sunriver: CALDERA. The lodge is filled with fun things to do, and you can relax and enjoy the view on the patio. Food and drinks also available from restuarant inside. 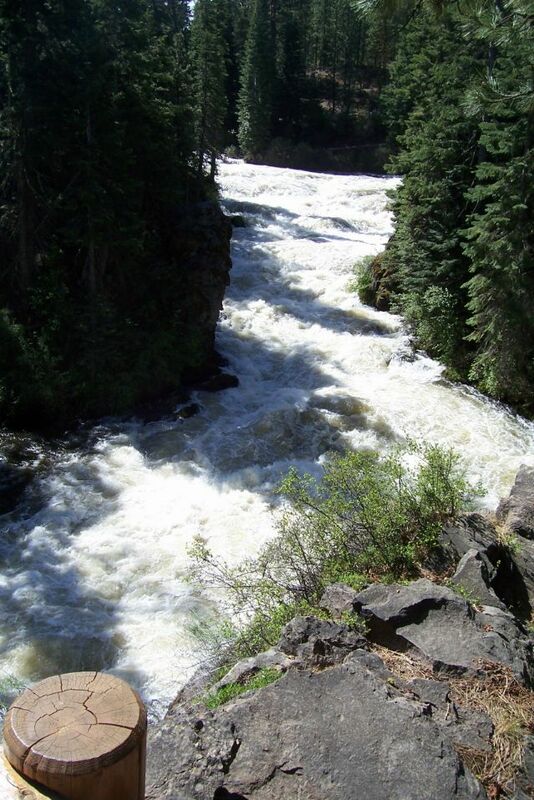 Water bubbles up from an aquifer, and you are standing at the source of the metolius River. This view was at 7am as morning mist formed with Mt. Jefferson in the background. 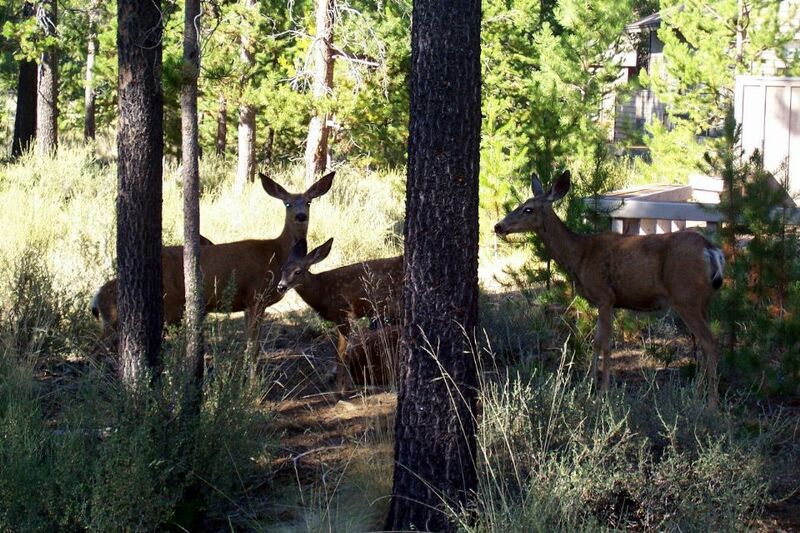 Just 5 miles off Hiway 20 at Camp Sherman (across from Black Butte). One of the world's great drives. Do it in the fall when the leaves are turning. The colors will make you dizzy, as will the switchbacks up or down the mountain. 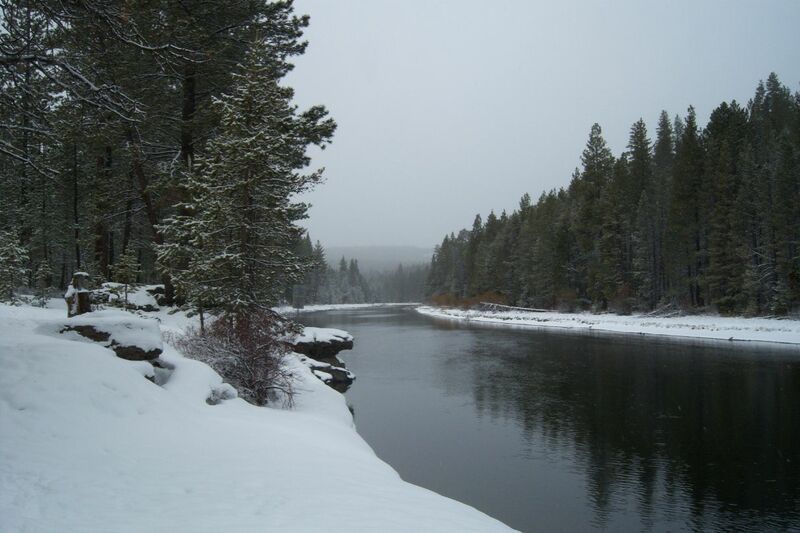 An oft-visited spot by Sunriver guests. 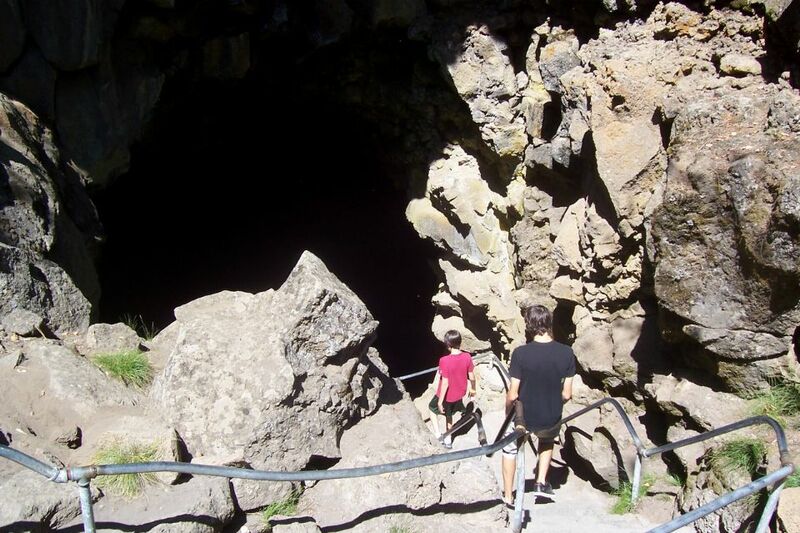 At Lava Butte visitor center, just go 4 miles past the entrance to the parking lot and walk about 1/2 mile to an amazing river fall. 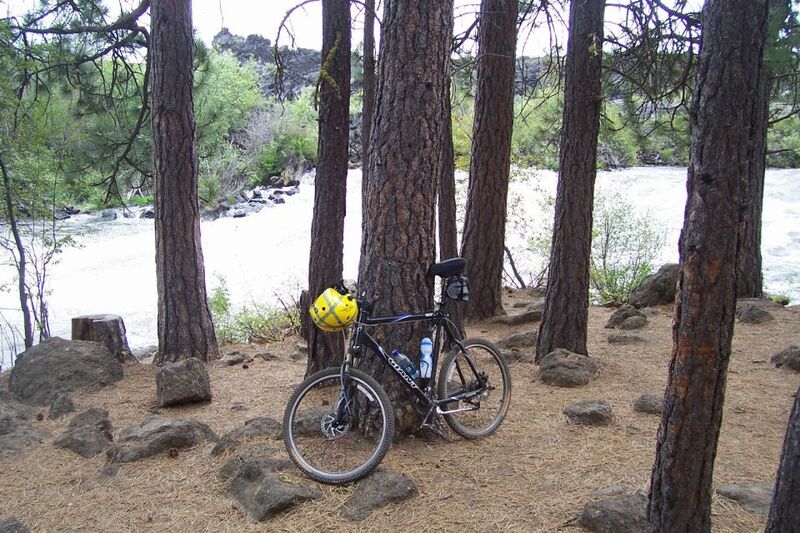 Few see the Deschutes this way - from a mountain bike. It's one of the best adventures you will ever take. Some stretches are very rough, experienced riders recommended. Deep underneath Hiway 97 are the caves which are free to the public. Go prepared with flashlight and sweater (it's always 62-degrees in there). Crawl on your belly the last few yards to touch the end of the caves, if you dare. One of the best things to do, drive to Cultus Lake. About 30-minutes west of Sunriver. Beach, marina, coffee/ice cream shop (one of the best) and swimming. Rent a Jet-Ski and explore the lake. Off the Cascade Lakes Hiway. Same road leading to Cultus, but turn off about a mile short of the namesake lake. Great camping and canoe riding. 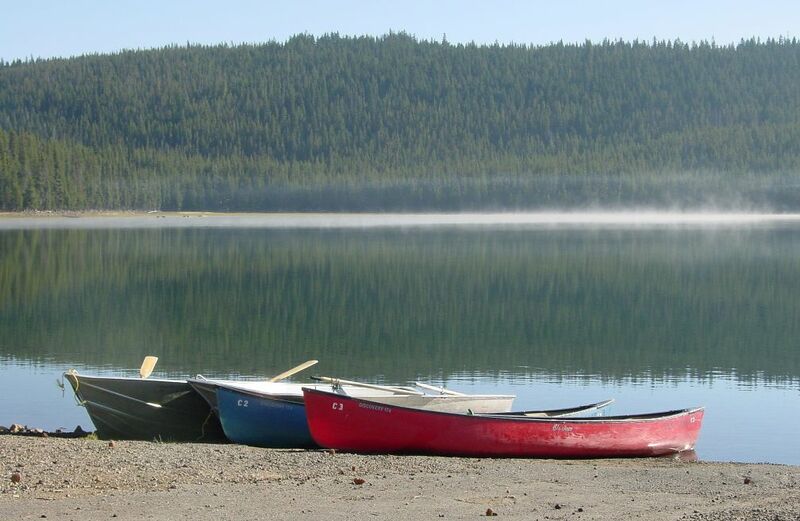 Quieter atmosphere than most other Cascade Lakes. Finish day at Cultus Lodge for ice cream (from Brent + Betty). Tip: Get there around 11am and you will get your pick of lounge chairs and location. After 11:30 or 11:45, they are all gone. Then just throw a towel down on the grass and enjoy the sun and fun. This is the Big Eddy. The best value, by our account. 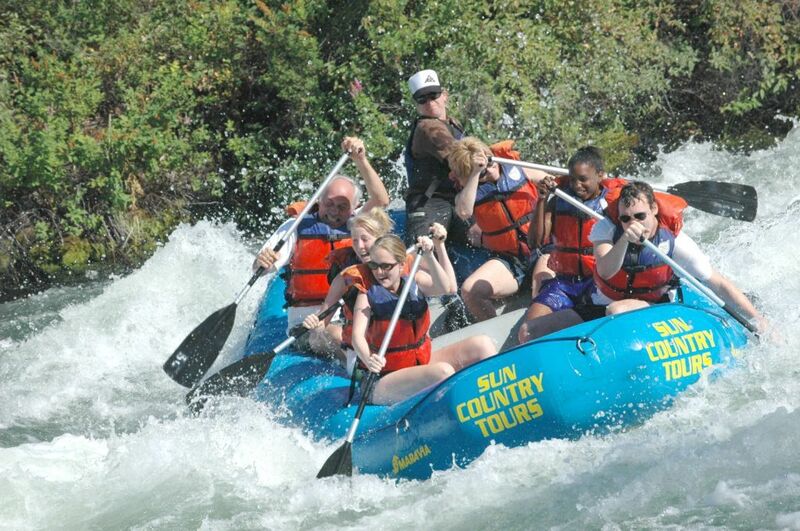 3-hour tour, wall to wall, and white water (pictured). Guides are top-notch. They leave nothing to change. But you have to work hard! Our house is located in the Deer Park area, a daily grazing path, we think. Sometimes they just stop and sit in the shade. On Hiway 22 EB, just before the Mongold State Park entrance is a turnout where you can see this: Mt. Jefferson from Detroit Lake.There are other turnouts (Mt. 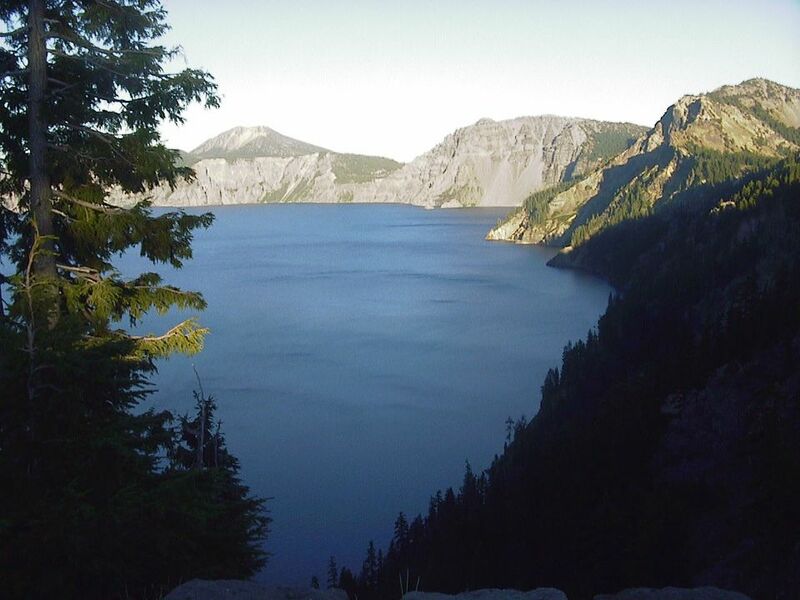 Washington, Suttle Lake) all worth a stop. The lazy river on a sunny day, what could be better? 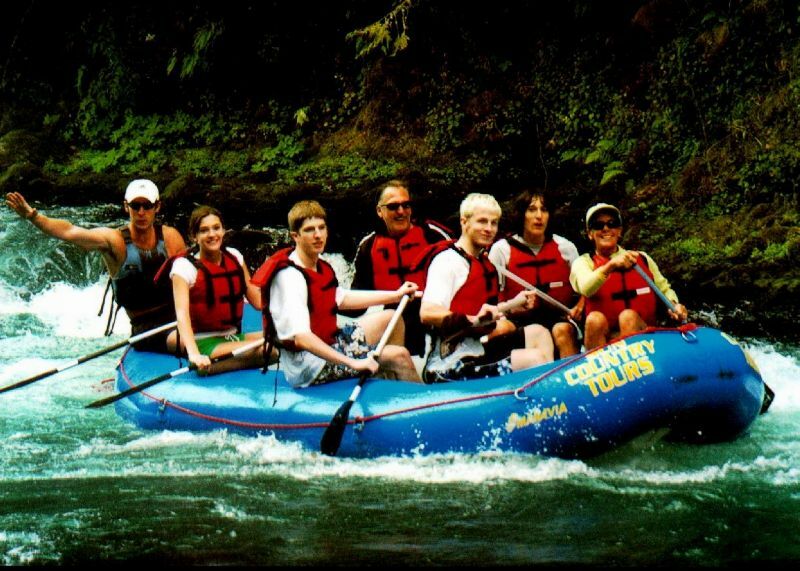 Rent a raft at the Marina (they'll pick you up near Benham Falls) or do it yourself and put in at Harper Bridge (and leave a car at the Marina). This spot is revered as one of the most photogenic in Oregon. A few miles past bachelor on the Cascade Hiway. 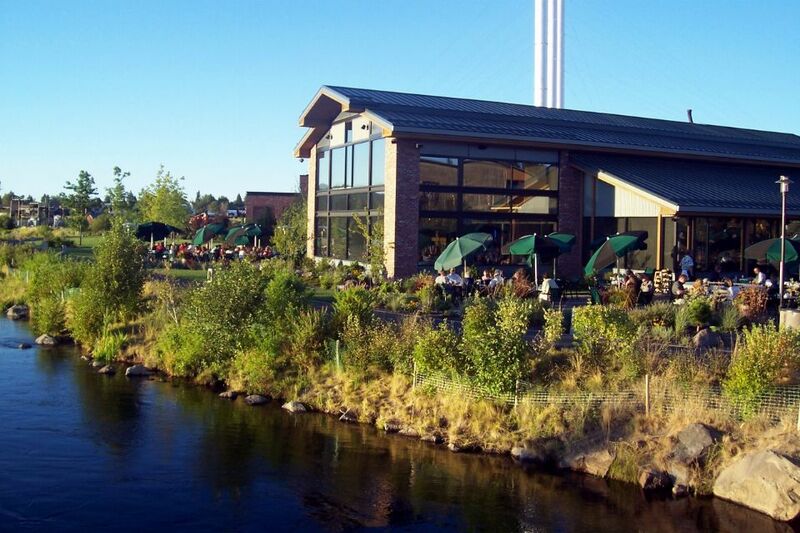 Eat outside along the Deschutes River in Bend. Pictured is Anhtony's. Reservations are a must at sunset or summer evenings. While not as rough as the Deschutes, few people get to see the McKenzie from this angle - on the river! Downside: You have to drive 1/2-way to Eugene to get to the put-in. That's a long ride on an old bus. Save it for your last day and continue home afterwards. 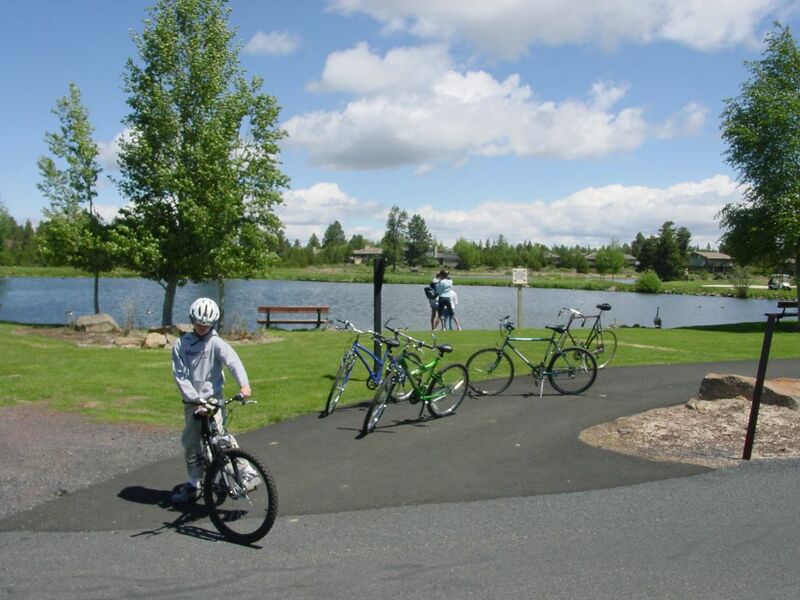 A short ride of the butte and you are enjoying a 360-degree view of Sunriver, Bend, and Three Sisters Wilderness. One of the most scenic in the world. Lakes, mountains, rivers, you see it all. You will never finish in one day, so save the rest for your next trip. 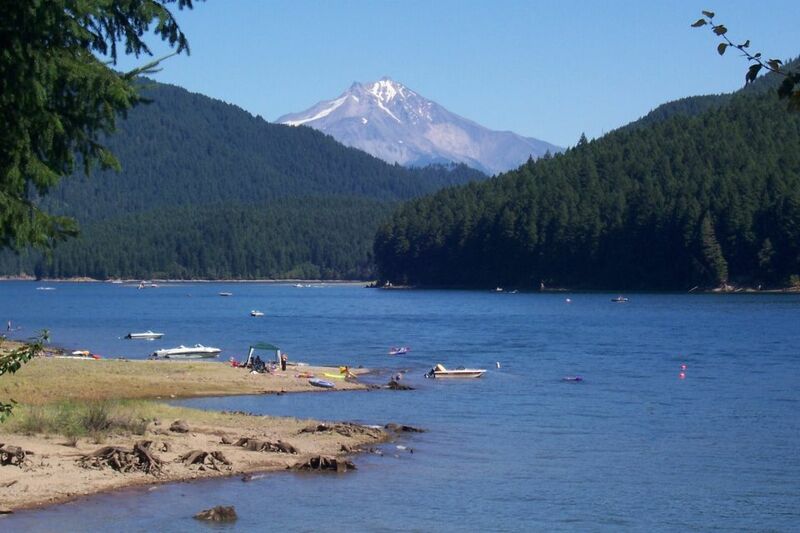 Elk Lake is pictured. Access from the Sunrise Lodge (NOT West Village). About 4 hours, round trip. 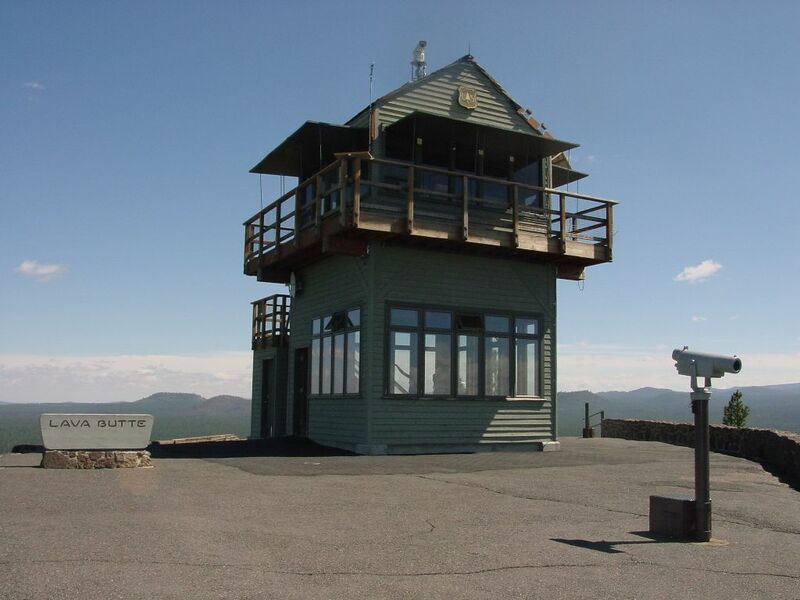 That includes a LONG time at the summit enjoying the unparalleled view. You must be in good physical shape. The trail, while well marked and carved, is often steep near the summit. 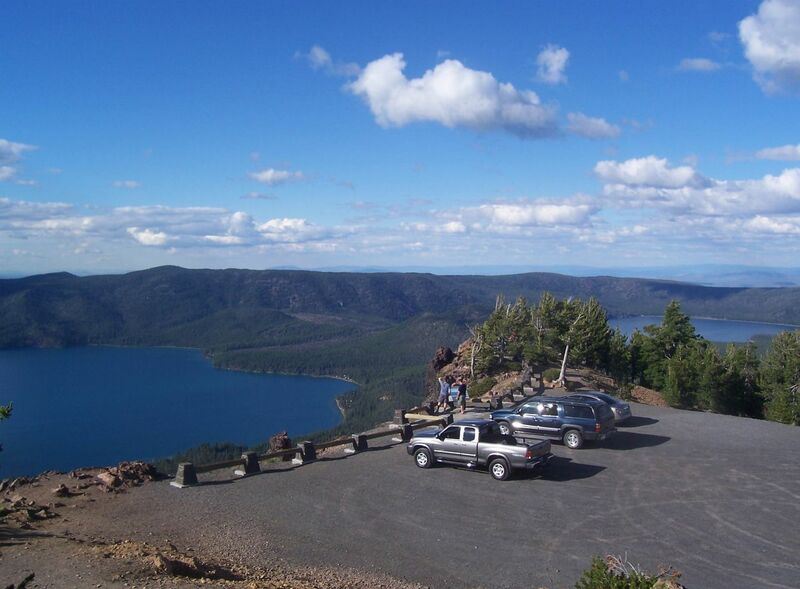 Park your car at the access road from Sunriver to the Deschutes canoe take-out. It's about 1.5 miles through the forest. You will feel like you are a million miles from anywhere! 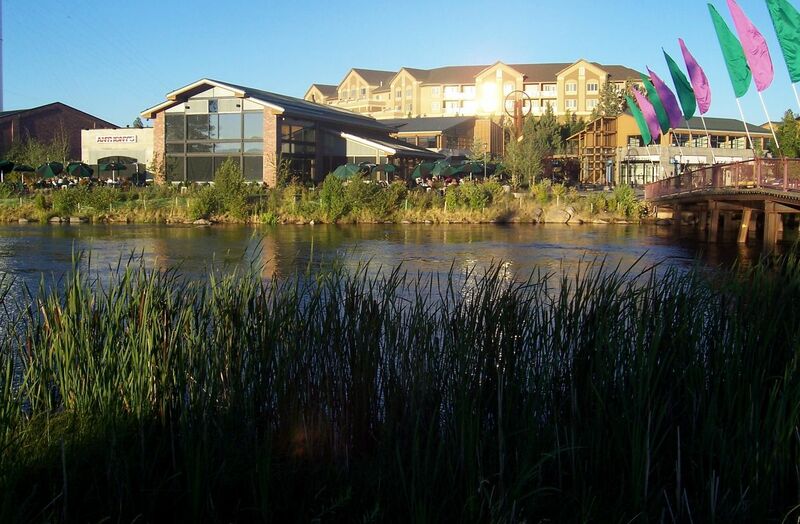 We can recommend in SUNRIVER: South Bend Bistro ($$$), Village Bar & Grill ($), Boonedocks ($$), Sunriver Lodge and Owl’s Nest Lounge ($$$$), Blondies Pizza ($), Café Sintra ($$$). BEND: Anthony’s ($$$), Greg’s Grill ($$$), Red Robin (for the location along river), Deschutes Brewery ($$), Pine Tavern ($$$$). 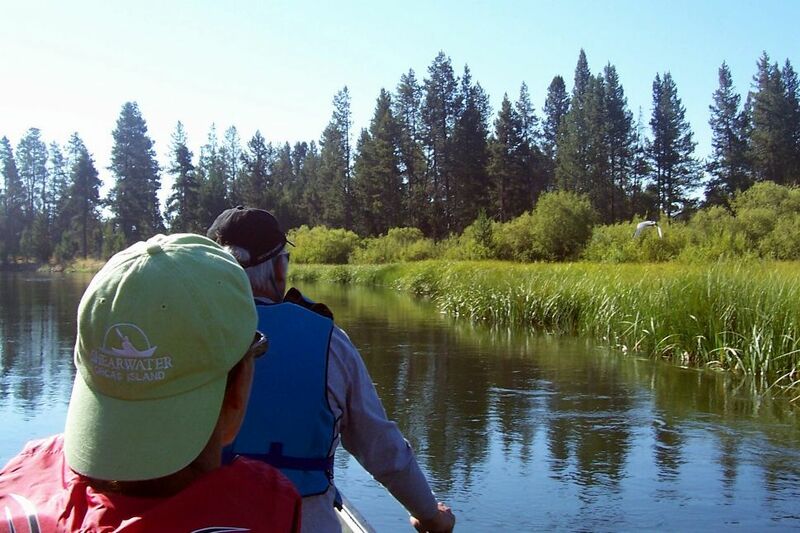 ON OUR SUNRIVER MOUNTAIN GETAWAY "BUCKET LIST"